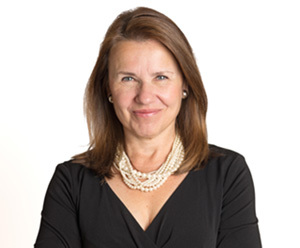 For more than 15 years, Mary Crane has delivered high energy, high impact programs to leading universities, Fortune 500 companies and AmLaw 100 law firms. Her fundamental message has remained the same: While an individual’s IQ and GPA helps open doors, critically important people skills ultimately land the job, close the deal and help build teams that transform organizations. Her seminars provide participants with the skills they need to put their best, most effective selves forward. Crane is the creator of the “100 Things You Need To Know” book series. Premised on the belief that no one professional needs to know everything, Crane maintains that professionals who know the 100 most important things about a particular subject area possess the critical information they need to succeed. Topics covered include: “Starting Work” (May 2013); “Networking” (December 2013); “Business Etiquette” (2014); “Managing Projects & Time” (2015); and “Professionalism” (2016). Crane is a graduate of the University of Missouri-Columbia and George Washington University Law School. She is also a graduate of the Culinary Institute of America, where she studied tortes after studying torts. She has worked for entities as diverse as the American Petroleum Institute and the American Heart Association. Get this: she’s also a former White House assistant chef. Crane has been featured on 60 Minutes. She has been quoted extensively in a variety of print and electronic media, including The New York Times, The Wall Street Journal, Forbes.com, Fortune.com, and CNN.com.